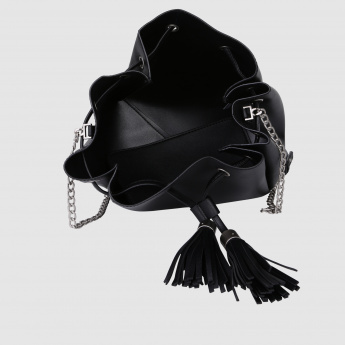 Having a bucket style, this sling bag is a chic accessory that you must own. 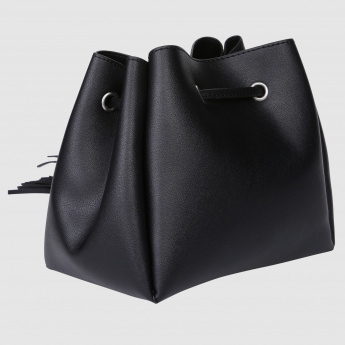 Its drawstring closure allows for ease of use. 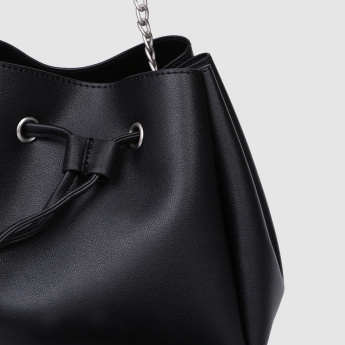 Tassels are added to make this bag look good.